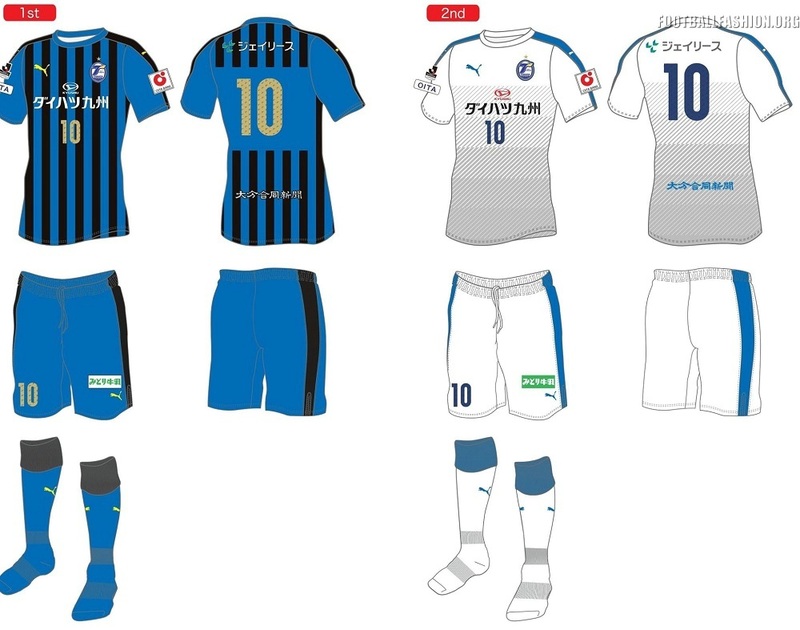 Japanese J2 League (second tier) club Oita Trinita have released their 2018 home and away kits from PUMA. 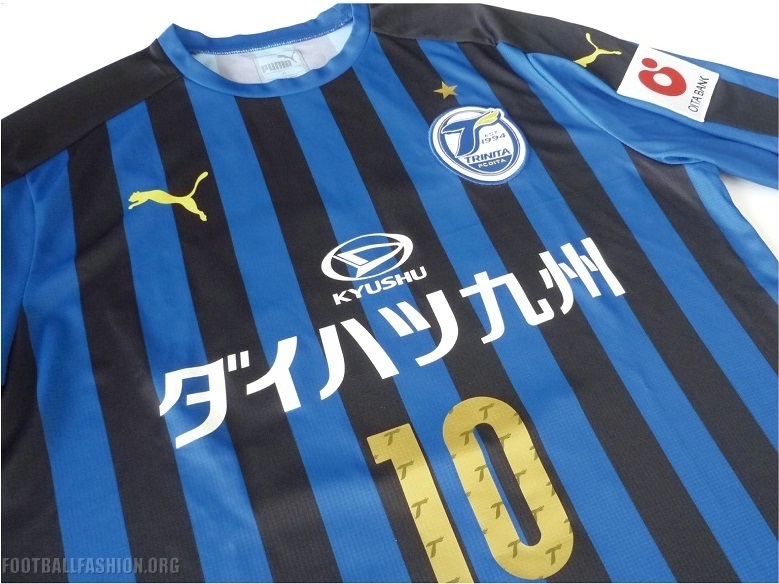 The former J1 side will wear shirts featuring PUMA’s new crewneck LIGA jersey design for their next J2, Emperor’s Cup and J. League Cup campaigns. 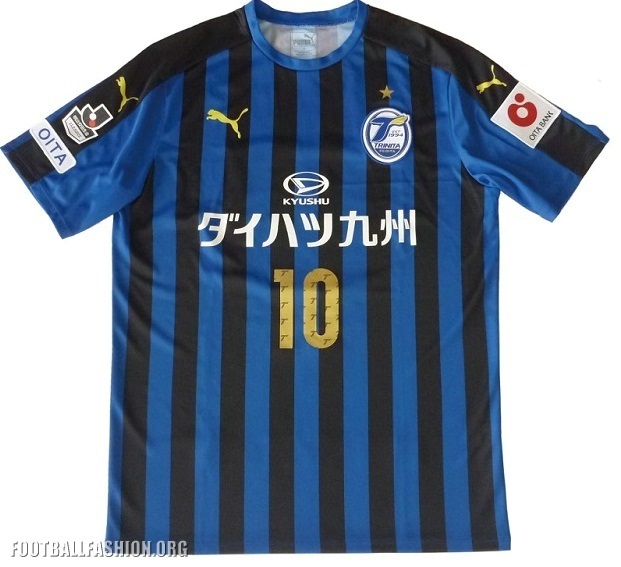 The Oita Trinita 2018 home kit uses the club’s traditional black and blue combination. 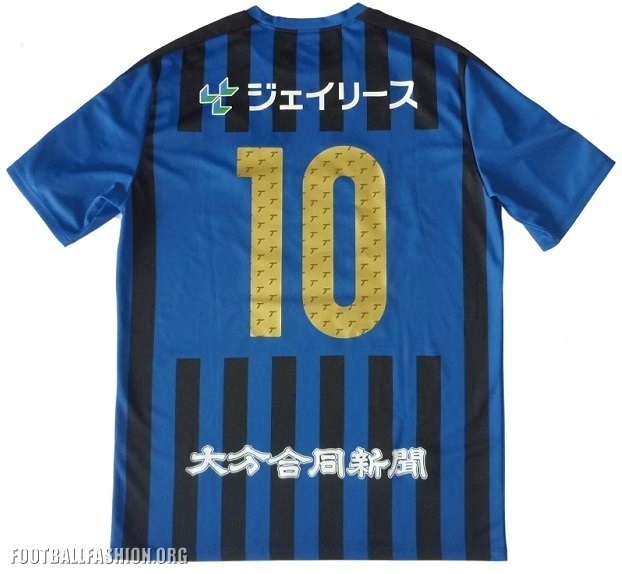 It has a blue base with black vertical stripes on its front at back and black shoulder stripes. The PUMA logos and player names and numbers on the shirt are all gold while the sponsor logos are white. Oita Trinita’s 2018 PUMA away jersey is white white a set of bands that form a gradient on its front. Its shoulder stripes, PUMA branding and player names and numbers are blue. Last a J1 League club in 2013, Oita Trinita finished the J2 season in ninth place after being promoted J3.